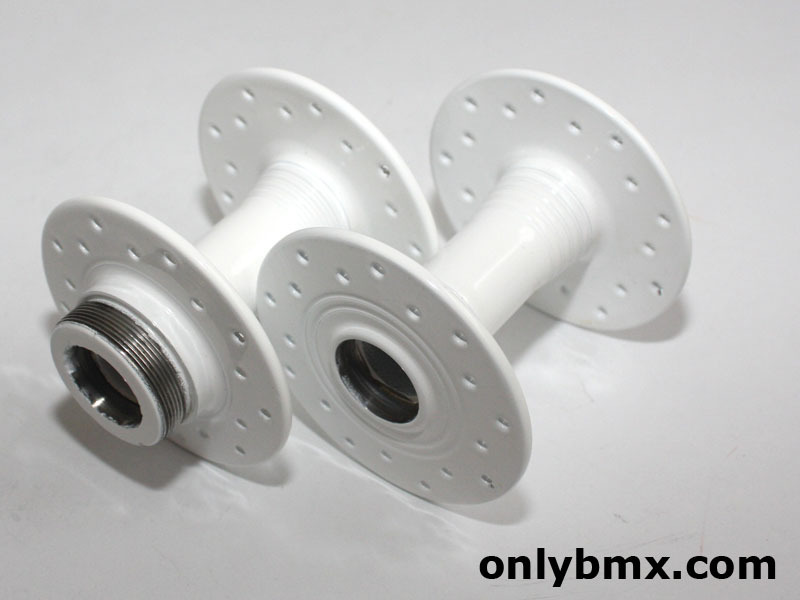 Set of 36 hole GT BMX Superlace hubs. These have been refinished by Roberto’s Custom Powder, one of the most loyal freestyle GT guys in Australia. Come with reproduction decals. Axles etc are not correct for these hubs. 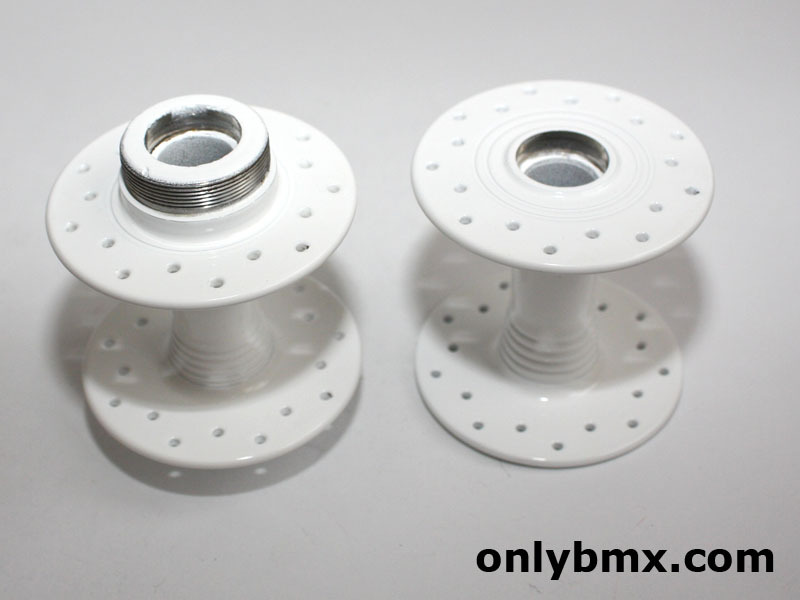 I have been told these are the first generation superlace hubs and as such need the hollow axles and locking collars. Poking around the forums I see both of these are available as reproductions or you can hunt out the correct ones yourself. 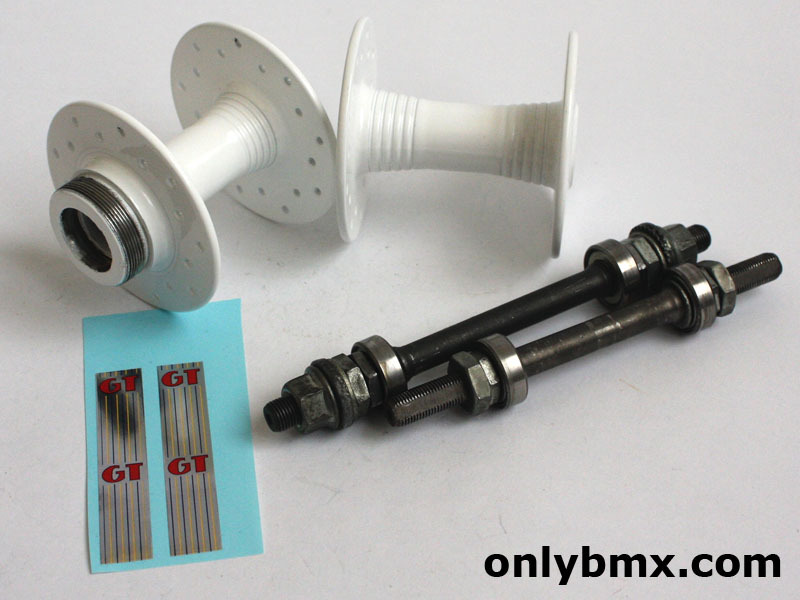 One complete pair (axles, bearings, collars etc was about USD80).